Here at London Honda, we’re very proud of our dedicated team of experienced financial services specialists that will help you make the best choice when it comes to leasing or financing. Whether you decide to purchase or lease, our team will work for you to secure any required financing at today’s best rates and have you behind the wheel of your new vehicle as quickly as possible. Don’t worry about the hassle of securing a loan and all the paperwork, that’s our job! We even make it easy to get started by offering a secure on-line credit application right here on our website. Simply fill out and submit your application today and someone from the Financial Services team will get back to you promptly. All the information you provide will be kept completely confidential and will only be reviewed by our Internet Sales Manager and our Financial Services team. 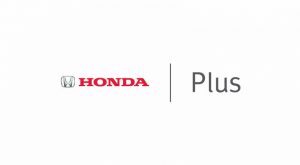 Plus our Financial Services team members are also the experts in Honda Plus extended warranties and additional vehicle protection products such as lifetime warranted rust proofing from Sym-tech. So contact us today, and get all the information you need to help you acquire your next vehicle and keep it looking great for years. Experience worry-free driving with the complete line up of Honda Plus products. Wherever the road takes you, whoever you share the journey with, make sure the road ahead is as trouble-free as possible. Our comprehensive range of products was developed with you in mind. Designed to get you back on the road without surprises and without the expense.